Visual Studio family contains many products. The VS 2008 SP1 released a few months ago have fixes for all products in the family. An incorrect order of applying the service pack usually lead VS products into an inconsistent state. The most common issue I see is that a particular method/type in a VS assembly can't be found. See KB 950264 for detailed description. When applying the SP1, only fixes for already installed products are applied. For example, you might have installed Visual Studio 2008, then applied the SP1, latter you installed the load test controller on the same machine, then fixes for the test controller would not be applied unless you install the SP1 again. So, the correct order of applying the SP1 is to install the SP1 at the latest. If you applied the SP1 and later installed a new product in the above list, then you should apply the SP1 again. 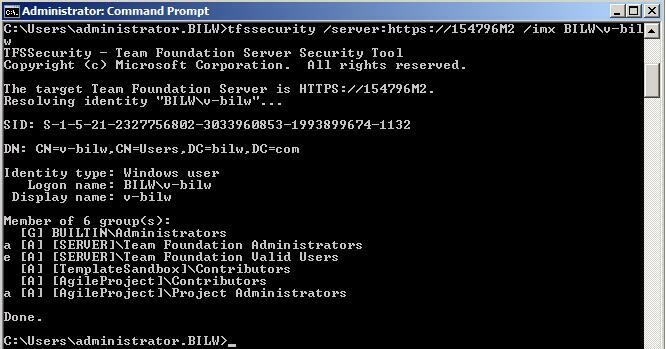 When TFS is deployed in an active directory domain environment, it makes use of windows accounts stored in domain. TFS uses the service account, usually TfsService, to read SID, email, display name and other account information from AD where TFS users belong to. As you can see here, the service account requires read permission in all TFS user domains. In organizations that TFS users may come from multiple domains, we can use a service account from a domain that is trusted by all other domains. When using Visual Studio to add users to TFS, we can log on the domain that is trusted by other domains so that we can list all domain accounts. How to deal with TF200035? Trusts and Forests Considerations for Team Foundation Server. Visual Studio(VS) is a very complex software. Sometimes you may suffer issues while using it. Here are some commands that might help to bring VS back to normal. If you have multiple version of VS installed, make sure the commands are run in the installation folder of the correct version of Visual Studio. This command is used to reset user data. Settings in the Tools->Options within Visual Studio will be reset. You might need to export your settings before run this command. In MSDN forums, I saw many customers reported that VS is in weird states such as a window is missing, tool buttons in a window is not correct etc. This command solved most of these issues. When a package loading error occurs, we may suppress VS to load it in the future. This approach hides the problem. ResetSkipPkgs switch will make VS to load the skipped packages while launching VS. After we get the error message for package loading error, we can do more troubleshooting. This command is used to build menus, commands and registry settings for all VS packages. Many VS add-ons contain packages. When we get package errors for an add-on, the first thing to try is repairing the add-on. If the repair doesn't work, just run devenv /setup. This command will start VS in safe mode. In safe mode, VS will not load any third party packages. 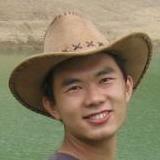 Hi, I'm Bill Wang and I create this blog to share my experiences. I was born in southern China in 1986. Since graduated in 2008, I have been working as a support engineer in Microsoft. I work on Visual Studio Team System Forums and newsgroups to help custom to use TFS smoothly. If you often surf the VSTS Forums, you probably already knew me.